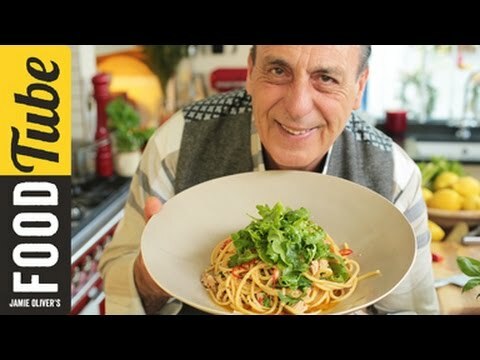 This pasta recipe by Gennaro really is the definition of quick Italian cooking. A simple pan fried sauce with garlic, chilli, tomatoes and capers tossed through flaked tuna and perfectly al dente bucatini pasta. Top with dressed rocket leaves and enjoy. This really is the perfect dinner - ready in minutes and full of flavour.